A former Filipino militiaman testified before the country's Senate that President Rodrigo Duterte, when he was still a city mayor, ordered him and others to kill criminals and opponents that left about 1,000 dead. 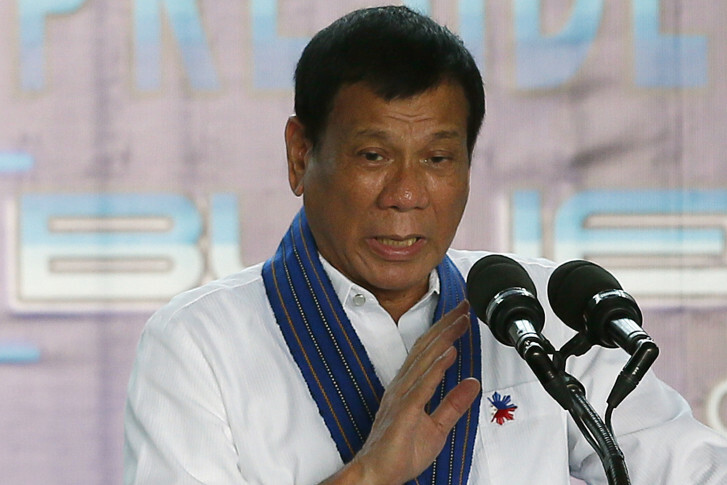 MANILA, Philippines (AP) — A former Filipino militiaman testified before the country’s Senate on Thursday that President Rodrigo Duterte, when he was still a city mayor, ordered him and other members of a liquidation squad to kill criminals and opponents in gangland-style assaults that left about 1,000 dead. Edgar Matobato, 57, told the nationally televised Senate committee hearing that he heard Duterte order some of the killings and acknowledged he himself carried out about 50 of the abductions and deadly assaults, including a man who they fed to a crocodile in 2007 in southern Davao city. The Senate committee inquiry was being led by Sen. Leila de Lima, a staunch critic of Duterte’s anti-drug campaign that has left more than 3,000 suspected drug users and dealers dead since he assumed the presidency in June. Duterte has accused de Lima of involvement in illegal drugs, alleging that she used to have a driver who took money from detained drug lords. She has denied the allegations. The hearing was briefly halted so senators could discuss how to provide security for Matobato because of the explosive nature of his allegations. “Our job was to kill criminals like drug pushers, rapists, snatchers,” Matobato said under oath, adding some of the targets were not criminals but opponents of Duterte and one of his sons in Davao city. Presidential spokesman Martin Andanar rejected the allegations, saying government investigations into Duterte’s time as mayor of Davao had already gone nowhere because of a lack of real evidence. There was no immediate reaction from Duterte, who has denied any role in extra-judicial killings when he was the longtime mayor of Davao and after he assumed the presidency in June. Matobato said the victims in Davao allegedly ranged from petty criminals to people associated with Duterte’s political opponents, and included a wealthy businessman who was killed in central Cebu province because of a feud with Duterte’s son over a woman. Some of the victims were shot and dumped on Davao streets or buried in three unmarked graves, he said, adding some were disposed of in the sea with their stomachs cut open so they would not float and would be eaten by fish right away. “They were killed like chickens,” said Matobato, who added he backed away from the killings after feeling guilty and entered a government witness-protection program. He left the program when Duterte became president, fearing he would be killed.